A truly Australian story of friendship and dedication between two great friends,even if the two great friends are teddy bears! 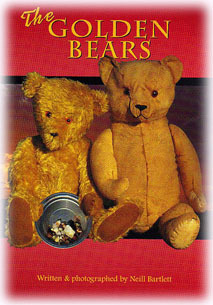 What happens when a teddy bear called Old Ted ,an Australian made Berlex bear, runs away and his friend Edward,designed by Janis Harris from Almost South Pole in New Zealand, goes in search of him? 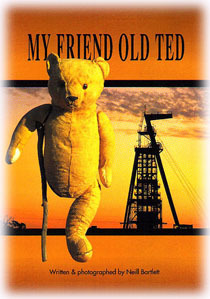 "My Friend Old Ted"is set in the outback location of Western Australia's goldfield city of Kalgoorlie-Boulder. up in were mining executive's offices,childrens school libraries and most especially,in the homes and hearts of teddy bear lovers all over the world! Happy Birthday to you, Old Ted. Everybody has a birthday each year,even teddy bears. Now it's time for Old Ted to celebrate his. 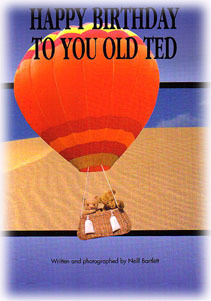 But it's not just any old birthday,Old Ted discovers he is turning 50! And the day is not forgotten by his friends ,especially Edward Bear. What looks like a horrible joke when Old Ted opens his present, becomes a special gift and the start of an adventure which sees Old Ted and Edward Bear leave their home in Kalgoorlie and travel across the Eyre Hwy, Nullabour Plains and the Great Australian Bight! Where will they end up? 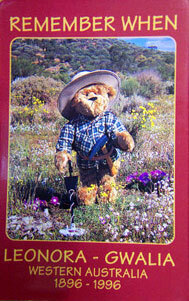 This book features some of the old, old teddies who live in the Goldfields of West Oz! What mischief two cute teddybears get up to when they're desperate for a 'taste of honey'! Never under-estimate Old Ted and Edward Bear when they leave Kalgoorlie in West Oz to go search for gold underground in Bendigo,Victoria. The most delightful photos and magical storyline make this the best book yet! Neill Bartlett was born in Melbourne, Australia, now living in Tennessee USA with his wife Christi and their daughters Danielle and Morgan. As a self-taught photographer,his passion is both teddy bears and travel photography and often combines the both. Neill travelled back and forth from Melbourne to Western Australia,over 20,000kms in two years to write and photograph these lovely books. 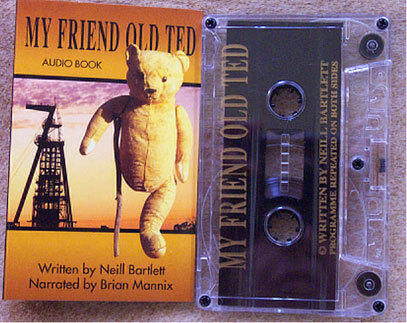 This audio tape of Old Ted is ideal for the kids on a car trip. It's narrated by Brian Mannix from the 80's rock Uncanny-X Men and relates the storybook of the two bears adventure. 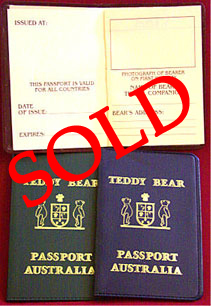 Every well travelled bear needs his or hers own valid passport. Here's a great way to make sure your teddy's legal as it travels the world with or without you. Each order will also include a free magnet with the old prospector Bill Bear featured on it, courtesy of Neill Bartlett, Old Ted and Edward Bear of Oz Fotografics.